What do an oil slick, a lava pit, and insect anatomy have in common? It’s something called thin-film interference, which is caused by light waves that are reflected and refracted by a veiled or structurally complex coating. Often called iridescence, this phenomenon causes all of these things to shift colors right before your eyes. 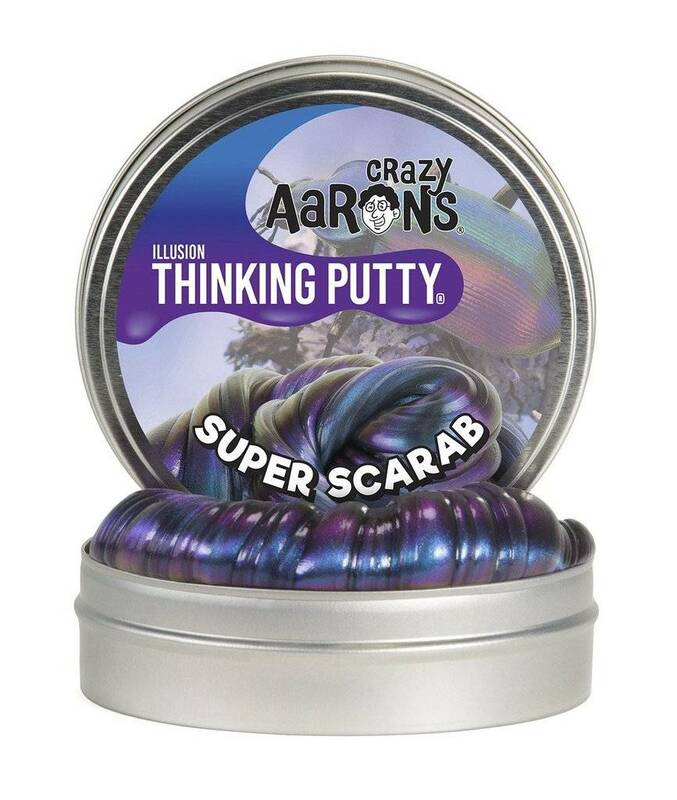 It’s also the secret behind our amazing Super Illusions Thinking Putty®.